Do you feel like you are ALWAYS hungry and aren’t sure why? Hunger can be the result of a number of things, from your diet to your hormones to the amount of sleep you get. Here are 7 reasons you may not be aware of and what you can do to help quiet your hunger and lose weight! Fiber is an essential part of a healthy diet. It helps stabilize blood glucose levels and remove toxins from the body, including excess levels of estrogen. When fiber is low, blood glucose levels can spike resulting in sugar crashes, low energy levels and hunger. 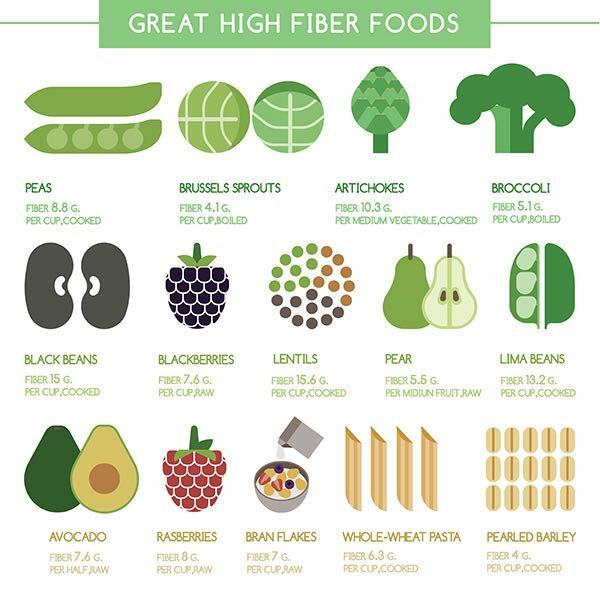 Eating a high fiber diet can reduce glycemic index of other foods, delay digestion and absorption of carbohydrates and enhance satiety. The recommended dietary intake for females is 25 g/day. Choose a diet that includes a variety of fruits, vegetables, beans, legumes and whole grains. A low protein diet can lead to hunger. Research has shown that when subjects were allowed to eat as much as they want, higher protein diets were found to be more satiating than diets that had higher ratios of carbohydrates or fats with the same calories. In addition to the reduction of hunger, high protein diets are also more thermogenic than other diets, helping increase metabolic rate, not to mention support a lean and trim body. Aim to get about 1 g of protein per pound of body weight, or about 40% of your daily calories from protein. Choose from lean red meat, poultry, non-fat dairy, egg whites or whey protein powder. For best results, spread your protein throughout the day over five to six meals. At one time, eating frequently was thought to result in a faster metabolism. While this is not true, there is some benefit to eating more frequently. Eating multiple times per day can result in better blood glucose stabilization throughout the day, which can reduce significant dips in blood sugar levels and subsequently reduce hunger and overeating throughout the day. It has been shown that those who eat less frequently have greater hunger than those who eat more frequently (greater than 3 times per day). Aim for eating about 5-6 mini meals per day to help maintain energy levels and keep hunger subsided. Your hormones can have a direct effect on your cravings and your body’s ability to burn fat, particularly if you’re premenstrual. Estrogen, progesterone, serotonin and cortisol all seem to play a role in moderating a woman’s energy expenditure and regulating appetite. Many studies have shown that during PMS and the menstrual cycle many women experience increased food consumption, including an increase in carbohydrate consumption. Fluctuations in hormones, particularly a reduction in serotonin, can result in an increase in hunger and cravings. Controlling your appetite during PMS may seem difficult. However, it can be achieved by sticking to a well balanced diet and an exercise program. Exercise is particularly helpful, as it can help increase the release of feel good endorphins and also reduce appetite! Stress can cause the release of hormones that suppress appetite, including epinephrine. However, once the stress is reduced, epinephrine levels fall and hormones that stimulate hunger, cravings and eating can make an appearance! What’s more, this action has also been shown to stimulate cravings for specific foods including those that are higher in sugar and higher in fat. 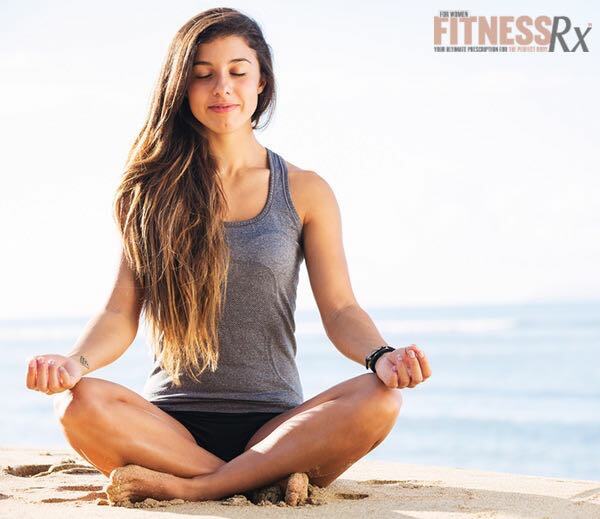 Reduce stress, don’t sweat the small stuff and consider taking up activities such as yoga and meditation. Getting insufficient sleep has been shown to increase cravings, hunger and weight! Chronic sleep loss can reduce the body’s ability to regulate hormones and process carbohydrates, which can cause overeating, particularly of high sugar foods. Sleep a minimum of 7 to 8 hours per night to help with proper recovery and balanced hormone levels. Breakfast helps set the tone for the day—stimulating metabolism and reducing hunger. A recent study showed that eating a high protein breakfast reduces cravings and food intake later in the day, particularly for fatty and sugary foods. For best results, eat a breakfast that is also high in complex fibrous carbs. 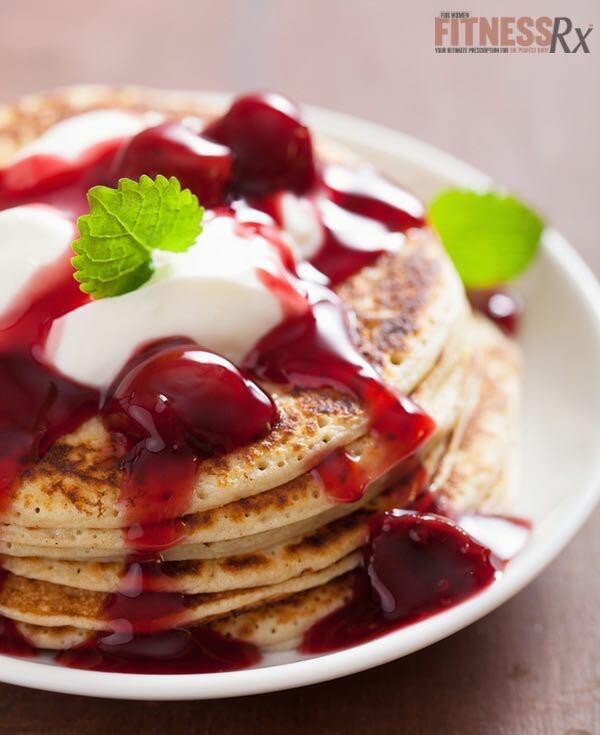 Try protein pancakes: mix whey protein with oatmeal and egg whites and cook in a non-stick pan. Serve with berries and a spoonful of non-fat Greek yogurt. Dye L, et al. Menstrual cycle and appetite control: implications for weight regulation. Human Reproduction. 1997. 12(6): 1142-51. Fujii H, et al. Impact of dietary fiber intake on glycemic control, cardiovascular risk factors and chronic kidney disease in Japanese patients with type 2 diabetes mellitus: the fukuoka diabetes registry. Nutrition Journal. 2013. 12: 159. Leidy HJ, et al. The effect of eating frequency on appetite control and food intake: a brief synopsis of controlled feeding studies. J Nutr. 2011. 141(1): 154-7.